Boating safety advocate’s work was recognized by the U.S. Coast Guard. LOS OSOS, Calif. — Marion Irving deCruz, an advocate for boat propeller safety who founded SPIN, Stop Propeller Injuries Now, has died. She was 73. The California resident died at home on May 18 after a long battle with cancer. Irving deCruz founded SPIN after the death of her son, Emilio Cruz in 1993 from a houseboat propeller accident. 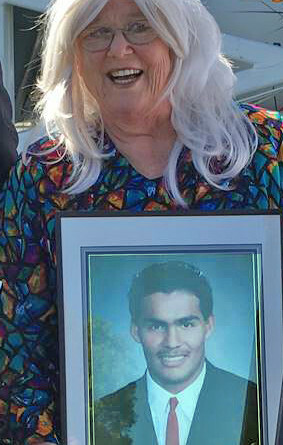 Emilio was a junior in college when he was struck and killed by a houseboat propeller. In the wake of his death Irving deCruz connected with families of survivors and victims of boat propeller accidents to advocate the industry for safe propeller practices and for the use of propeller guards. Known as Emilio’s Mom, Irving deCruz broadened her efforts to include a call for kill switches and kill switch lanyards for use on recreational boats, including rental boat education, pontoon boat propeller safety issues and boat licensing. In November 2015 the U.S. Coast Guard National Boating Safety Advisory Council passed a resolution encouraging the U.S. Coast Guard to honor her efforts. She was presented the U.S. Coast Guard Public Service Commendation award on Feb. 19 in Morro Bay. She was recently appointed again to serve on the National Boating Safety Advisory Council as a public member.